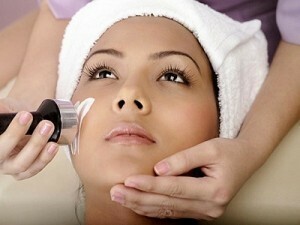 Microdermabrasion treatment is a type of skin resurfacing procedure that aims to restore the natural smoothness of skin. The products can be used at home. Before, surgeons had to use machines to spray the skin in clinics. The tool used is comprised of a pump and a compressor. These combine abrasion with suction. Together they remove the top skin layer (10-15 microns). The whole process lasts for 30 to 60 minutes and is painless. The treatment can be done on the face, the hands, feet, chest and neck. There are home kits available as well as those for use in office clinics. Its main goal is to refresh dull skin. 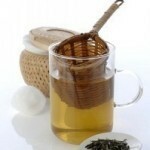 However it can also reduce large pores, eliminate wrinkles, and get rid of acne scars. Lines on the face can be erased and the hyperpigmentation can be treated. Stretch marks can also be removed. After treatment, the face should be cleaned with a damp cloth and rehydrating toner. A skin moisturizer should be applied next. The moisturizer should be used for six days after the treatment. You must use sunscreen every time you go out. This applies even on an overcast day. It is best to avoid the sun for a week after the treatment. If there is a burning sensation, you can apply creams or gels to the face. Particularly helpful are creams with vitamin A, C and E.
Aside from being painless, it is also less expensive than skin surgery. As stated it can also be done in the home. There is no downtime. After an hour of application, resumption of normal duties is possible. Pregnant women and those below 14 years of age should not undergo this treatment. If you have taken acne medication, wait at least 12 weeks before undergoing the skin resurfacing process. Individuals afflicted by keratosis, active acne or rosacea, lesions and diabetes should not avail of the treatment. The treatment is not recommended for people with auto-immune disorders, weeping acne, lupus, dermatitis, eczema, psoriasis or fragile capillaries. The treatment has no effect on herpes, lesions or warts. Those that will reap the most benefits are those with blotchy skin, susceptible to acne, enlarged pores, fine scars, sebaceous hyperplasia, rhytides and milia. Side effects are rare. The one most associated with it is altering of skin color. Your skin may get light or dark spots. This effect is commonly reported by people with dark skin. After using the device, the skin will appear reddish for 24 hours. This is normal. Hyperpigmentation, infections and other skin injuries may happen if the machine is not sterilized or used incorrectly. It is also possible for the micro crystals to be inhaled. However, they have no known side effects. The crystals do not have toxic properties. While microdermabrasion treatment is generally regarded as safe, potential side effects may occur. Consult a doctor first before undergoing the procedure. Your medical history must be looked into first.